I LOVE dessert, and I love pie. One of the things that really hurt when I realized my many food allergies was that I felt like I was going to be left behind when it came to enjoying the things I love. There are now more and more creative, exciting ways to make foods that traditionally us allergy-laden people couldn’t really enjoy, and nothing makes me happier. 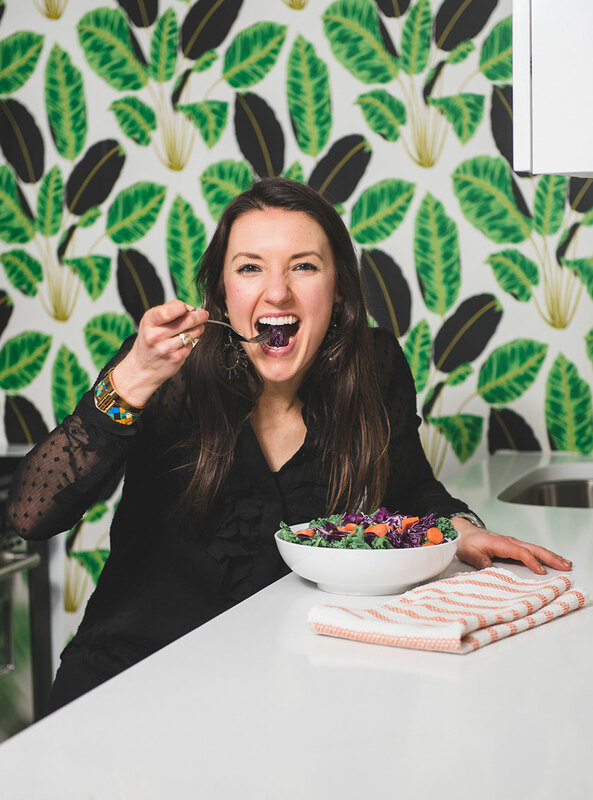 Holidays can be particularly hard for anyone with allergies, so I believe in providing really awesome, easy recipes so that us #allergyfriendly people can enjoy too. 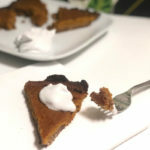 This paleo vegan skillet pumpkin pie is SO easy to make and it’s super tasty. I used the skillet actually because I didn’t have the right type of pan to use- and this is a super easy substitution as long as you have an oven-safe skillet. If you have a traditional pan you can use that too. Happy holidays and enjoy this! In the blender, combine the crust ingredients, and blend until it forms a dough. Remove the crust dough from the blender and form into a ball. Spray your skillet with a little avocado oil and use a paper towel to spread it around. Use your fingers to spread the dough out and up the sides of the skillet- try to make the dough an even thickness around the entire pan. Place the pan into the oven and bake for 15 minutes at 350. While the crust is baking, combine the filling ingredients in a bowl and mix thoroughly. Once the crust is baked for the 15 minutes (called blind baking), and the edges will be slightly browned, remove from the oven and set aside and turn the temperature up to 425 degrees F.
Allow the crust to cool for 10-15 minutes, then add the filling to the skillet- smooth evenly with a spoon. Place the skillet into the oven and cook for 15 minutes, before lowering the temperature to 350 degrees F and continuing to cook for another 15-20 minutes. Remove the pie from the oven and allow to cool- at least 30 minutes. Optional- add coconut whipped cream.